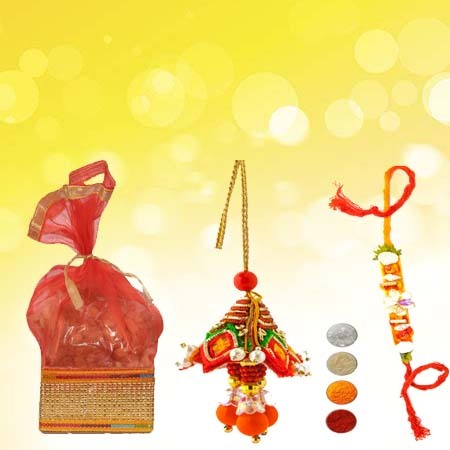 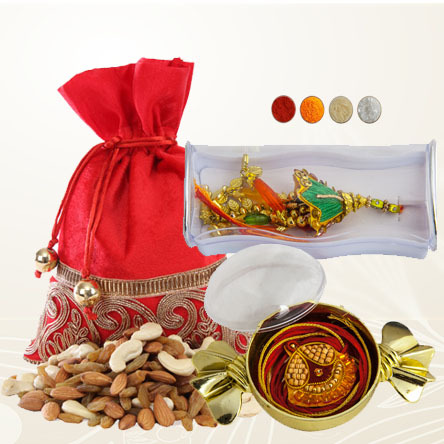 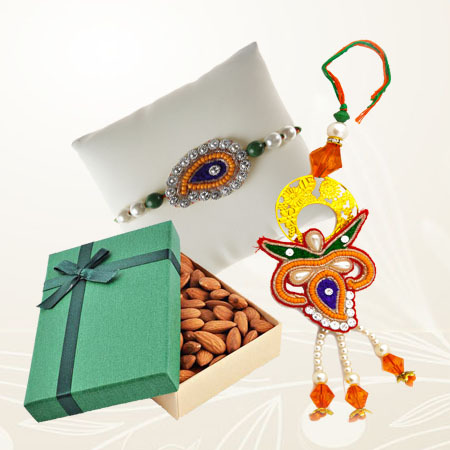 This set consists of 1 pearl and bead Lumba for Bhabhi and 1 designer rakhi for brother both in a beautiful case that is perfect set for your Bhaiya and Bhabhi with 1 Potli of 200g mixed dryfruits like cashews, almonds and raisins. 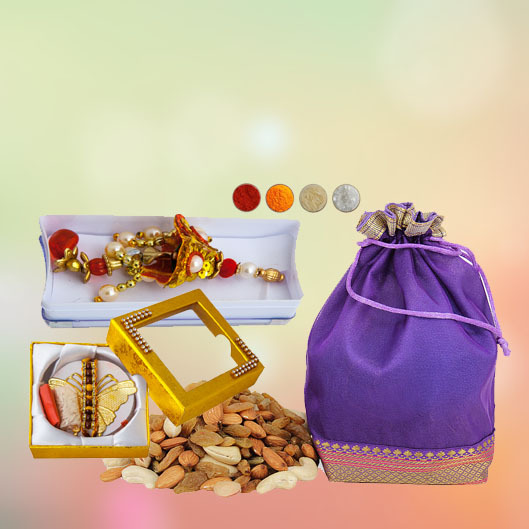 We also offer complimentary roli, chandan, chawal and mishri with this combo. 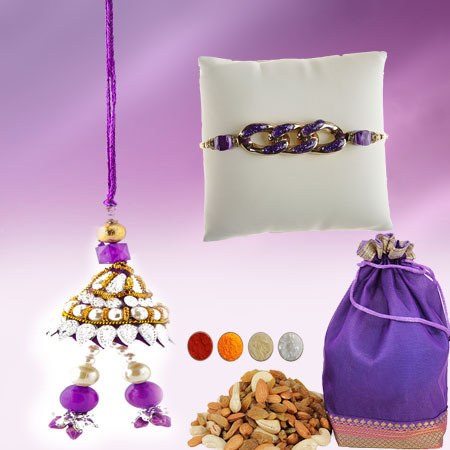 Note: the color and design of Potli may be slightly varied.